After spending some time and miles on the Gocycle G2 it is apparent that this is one of the most versatile and feature rich electric bikes. It has a lot of high tech features (electronic shifting, smartphone app ride customization, one sided wheels, etc.) but the design is focused on being easy to ride with little maintenance to worry about. Even though it looks like a folding e-bike, it has attributes that measure up well to full size electric bikes, and in many cases exceeds them! The G2 is a good all around city commuter that can be used for the full commute or in combination with mass transit. It is also a nice e-bike for exploring town and country roads. Its lightweight (35 pounds) and easy to carry design make it a good e-bike for zipping around dense urban environments. Carrying the bike up and down stairs is very easy. The Gocycle G2 is the ultimate high-tech, electric two-wheeler. 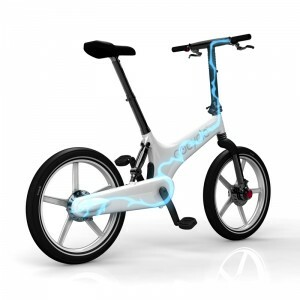 The bike features incredible electric capabilities and is the first of its kind to operate through Bluetooth connectivity to offer the most unique ride possible. The Bluetooth connectivity enables the bike and your smartphone Gocycle App to create the perfect connection so you can literally control every aspect of your ride: whether you would like to go up to 25 MPH and ride it fully electric, or ride it at your own pace and go up to 40 miles without charge, you can! Designed by the renowned, former McLaren engineer, Richard Thorpe, the cutting-edge Gocycle G2’s motor allows for smooth, fast, emission-free rides, and the lightweight Lithium battery allows for quick charges to keep you on the go! The integrated dashboard display on the handlebar includes the speed indicator, battery level, and also permits you to be able to shift between gear to gear. 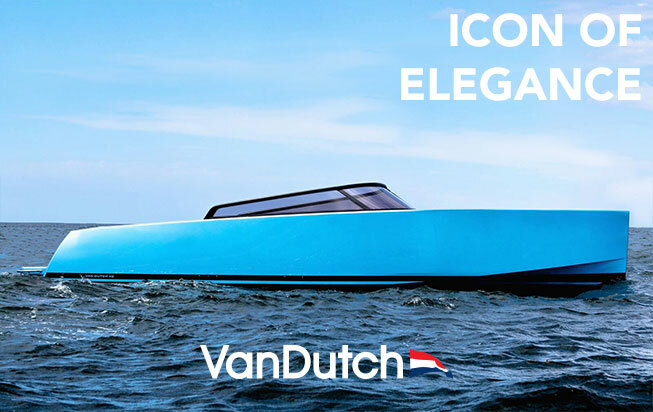 Gocycle G2, which delivers a seamless, minimalist design like the VanDutch Yachts, is free of cables and chains. Frame color options include rich black, sleek white and gunmetal grey; the interchangeable PitstopWheels come in black, including limited edition brilliant matte finishes. We are proud to announce that you will now be able to test drive and purchase your very own Gocycle G2 through our VanDutch Center France NTK Marine ! Performance Commuting : On-demand power at the touch of a button. Micro-sized motor provides a fast, no-effort, no-emission commute.